Melan Recovery is the perfect solution if you suffer from reddened or irritated skin..
Melan Recovery looks to combat the reactive signs of inflammation, reddening or irritation whilst providing an immediate sensation of comfort and relief. Essentially it's a very soothing and restorative balm which is great for those who suffer from irritated and sensitive skin. Simply apply on the balm and instantly you'll feel how soothing and calming it is on the skin. Melan Recovery works to recover the barrier function of the skin, providing it with hydration, elasticity and softness. After a facial, I would apply on this product to calm any redness as my skin is quite sensitive. It's a great product to achieve a soothing effect for the skin and it's amazing if you suffer from any skin irritations. Extract of Rhodosorus Marinus: anti-inflammatory action and helps cutaneous tolerance. Alpha Bisabolol: provides a soothing effect, alleviating irritation and helps restore skin. Prebiotic Defence: helps boost skin defences. Shea: provides hydration while protecting, nourishing and softening skin. It also provides elasticity to the skin, reducing tightness and discomfort. Niacinamide (Vitamin B3): helps prevent spots by blocking the transfer from the melanocyte to the keratinocyte. 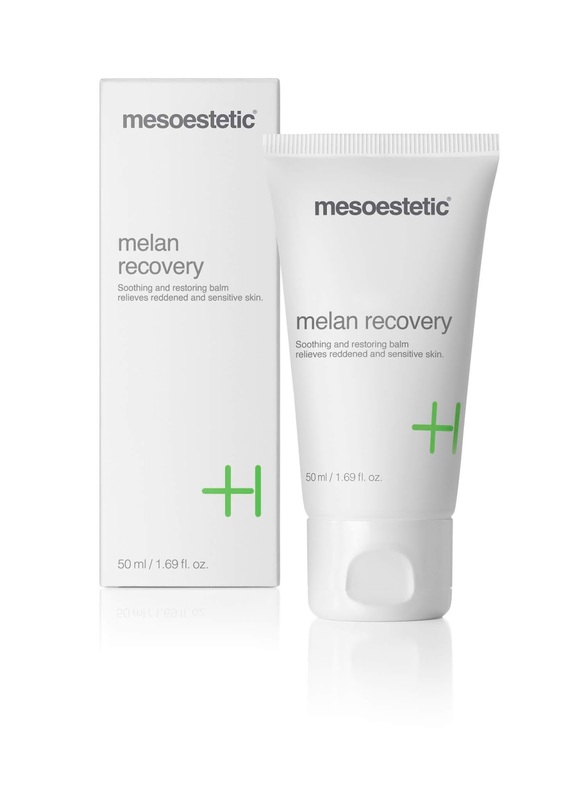 The Melan Recovery by Mesoestetic RRP $112.50 (50ml) and is available via the Advanced Cosmeceutical's official website here. Are you after a new product that looks to reduce redness?